So obviously as you know I love Disney a hell of a lot and I follow quite a few Disney bloggers on Instagram and Disney style pages and I stumbled across this Handbag & Jewellery company a while ago called Danielle Nicole. Recently my Disney x Danielle Nicole collection is growing in size and I just can't quite choose which is my favourite! 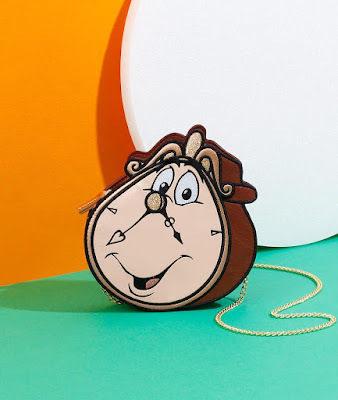 I have just recently purchased the very popular Cogsworth bag from QVC UK which I am still waiting for it to arrive. So I'm sure that the amazing people that bought me this bag got it from QVC UK so I have linked that by clicking on the image above and also the title above. I was so surprised to have received this crossbody bag on my birthday and I was so overwhelmed and excited to use it. It is the most beautiful, can go with anything bag I have ever owned. 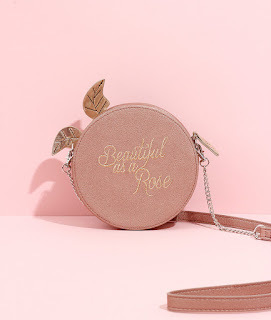 On the back of the bag in text it quotes 'Beautiful as a Rose' in gold text which is just stunning! Now I shall move on to the show stopper!! This bag! I have no words! The best statement piece I have ever owned. I was lucky enough to have received this also as a gift from my amazing man. I think he picked this beauty up from either YOOX or QVC UK, either way I have linked both! I can't wait to show her off at Disney World in 5 weeks time. Next up this sassy little crab, my first ever Danielle Nicole bag I have bought myself! I was very lucky to have bought him while he was in the sale on QVC UK, I think I got him for around £35 and he holds a very special place in my heart! I really love the combo of black and red, so beautiful. The one thing I notice about all of these bags is how amazingly detailed they are, they look incredible in photos but even better in person! So as I said above I ordered this guy when he came back in stock on QVC UK last week so I am still waiting for him to arrive - so hurry please! I had been checking the QVC website religiously over the last few weeks to see if he was going to come back in stock, after about 4 weeks he finally did and I had to get him straight away! I just think he's so cute and gorgeous and I can not wait to have him in my collection. All of these babies will be coming with my on my Disney trip, so I can't wait for that! 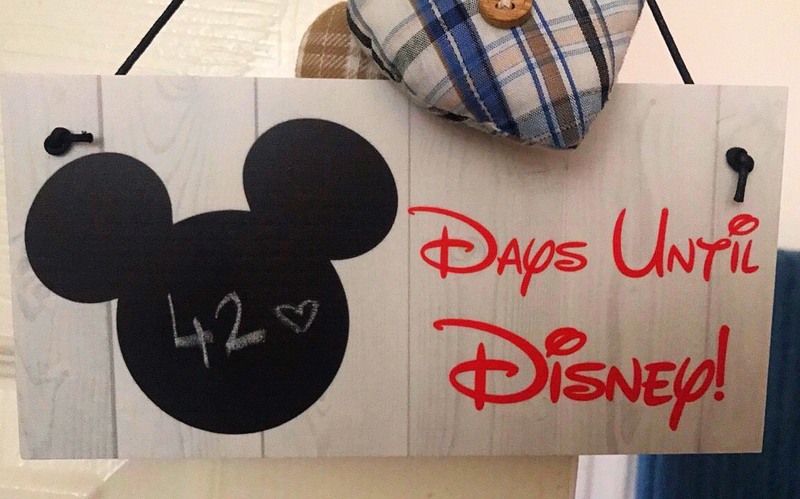 Thanks for reading and go check out Danielle's amazing Disney collection. My favourite place in Disney. The most beautiful, relaxing and picturesque park in Walt Disney World. This place is what I am most looking forward to visiting again this year, especially now that they have expanded the park to add Pandora the world of Avatar. So as soon as you step into this amazing place you will be greeted by the beautiful Tree of Life which is a huge Baobab tree located right in the centre of the park. If you can get really close to the Tree you will notice that there are tonnes of animals carved into it which is amazing! There are also many picture opportunities to have with family and friends in front of the Tree of Life. My next favourite thing about this park is that they have a huge Zoo to walk around with some amazing animals. Not only can you walk but you can hop on their Kilimanjaro Safari ride and experience a close up look of the animals with an amazing driver feeding you so much information on each of the animals!! They say the best time to hop on the safari's is at night when its dark as most of the animals are more active at night but I can definitely confirm that every time you go on the safari it's a different but amazing experience every time! There is now a few shows you can check out while your at Animal Kingdom but one in particular really stood out for Jamie and I. The Festival of the Lion King, one of my favourite things to see in Disney. Watching last year for the first time I honestly could not hold back the tears, it was so beautiful to watch and is truly a great show! I can not wait to watch it again this year. You can book this show as a fastpass+ so your not having to spend a lot of time waiting in a queue and it guarantees you to go in before the main crowd and grab yourself a good spot to watch the show! The rides at Animal Kingdom are great, my favourite being Expedition Everest. Jamie and I rode this so many times last year and I think it was definitely up there with one of our favs ever! The queue itself is fascinating, so even if you do have to stand in a long queue or don't manage to book a fastpass+ for this ride you can keep yourself entertained with the theming off this ride line. This year there will be a couple more rides that we can experience as Pandora will be opening so I am definitely looking forward to trying out those. Last but certainly not least was some of the food that we got to try out in Animal Kingdom. There was so many different options for snacks and restaurants, while we where in the park we just bought a sandwich each for lunch and grabbed some snacks later. We picked up two Mickey Mouse shaped pretzels & a Mickey Mouse cookie! Obviously I'm sure there are better food options than our snacks but obviously when your in Disney World you have to try almost everything that is Mickey shaped. This year we have a restaurant booked called Yak & Yeti which I have heard some great things about so I'm rather excited for trying this out. However, the thing I'm excited the most about for food reasons is Pandora! I have seen some amazing food & drink options coming from there and they look amazing and very different!! Only 42 days to go!! Eeeek! So seen as though it's supposed to be the middle of summer right now (however English weather clearly says different) I thought I would do a post on the summer makeup products that I am really loving right now. Some of these products are quite new to me and some are oldies that I've rediscovered but who cares about that here is some of my summer makeup essentials! 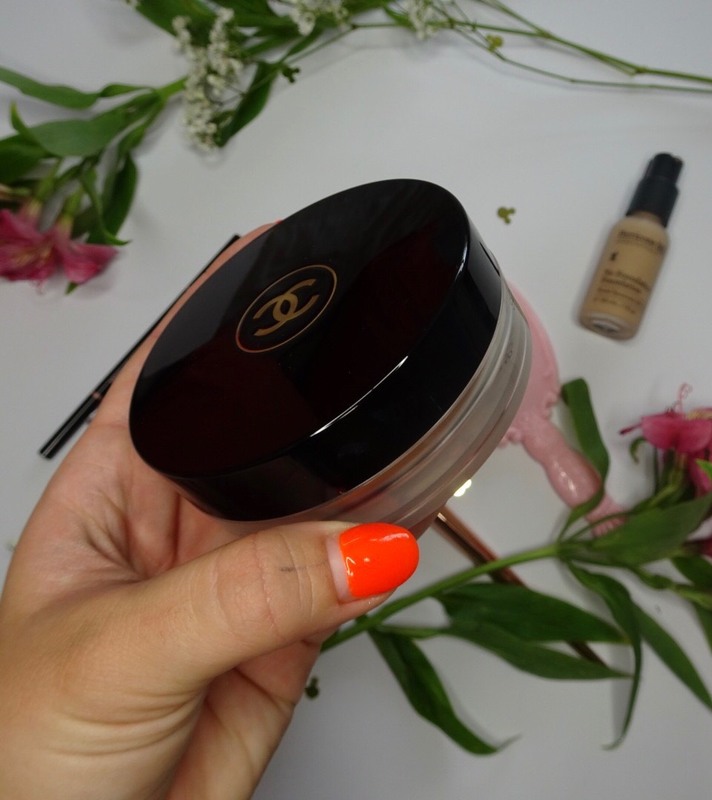 I've recently came back from Portugal which has been the perfect time to find some of my summer essentials and give them a good trial run! So of course on my travels I stopped off in the duty free in Newcastle Airport for a good mooch and found this old fav! This product usually retails for around £36.00 and I picked this little gem up in duty free for £28.00 which was a great little buy for me and I used this religiously whilst I was in Portugal as it gives you that perfect subtle bronzed look. It is technically listed as a bronzing base so you can add product on top of it if you wish but I like to just stick to this product on its own as it is just the right amount and colour for me. 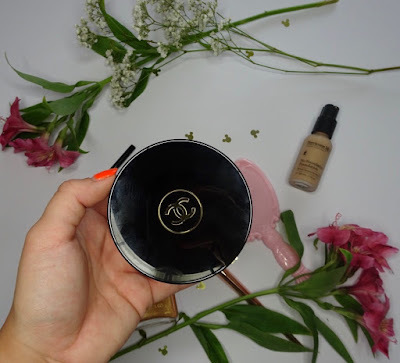 It's a cream bronzer so I find it very easy to apply either with a brush or a beauty blender and find it just as easy to blend which is why it makes it such a great subtle bronzer. This was definitely a winner product for me whilst being away on holiday and is also my go to product when I wear an outfit that has my shoulders or decolletage on show. 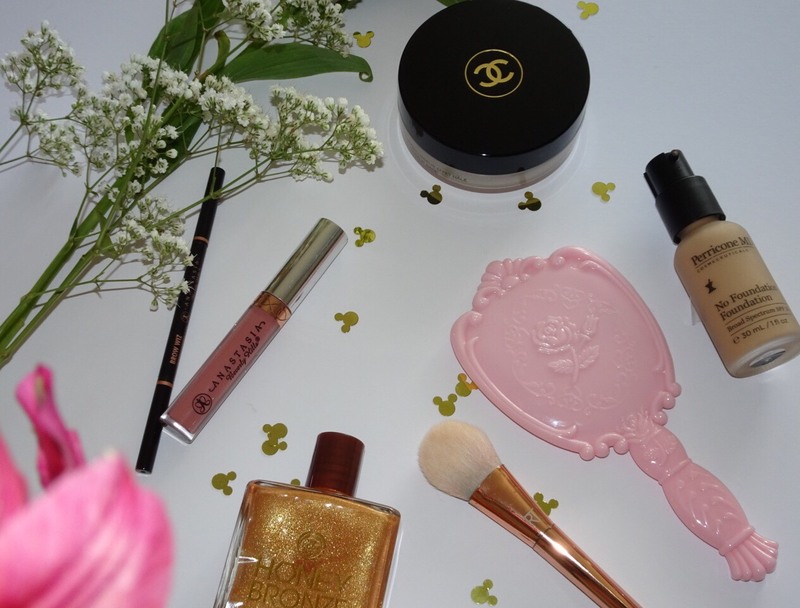 It gives a perfect shimmer on the skin with a subtle highlight. 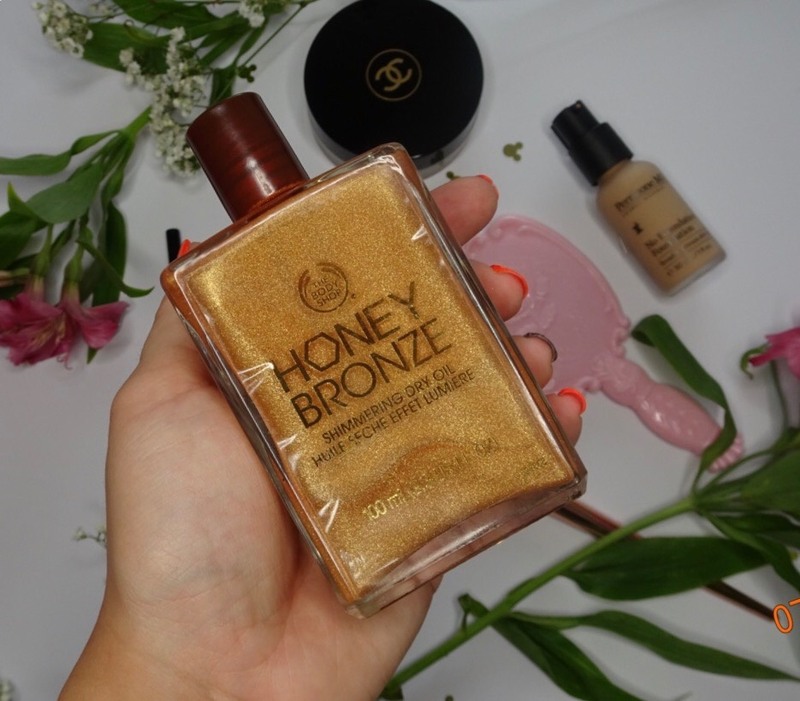 I was using this product on my shoulders on top of MAC's Goldlite Strobe Cream and it was just perfect! I love The Body Shop and have always loved using their products and can't wait to try some more of their new things that they have brought out. This little guy, I also picked him up in duty free and got a pretty good deal as I got an extra 20% off on top of the cheaper duty free price. 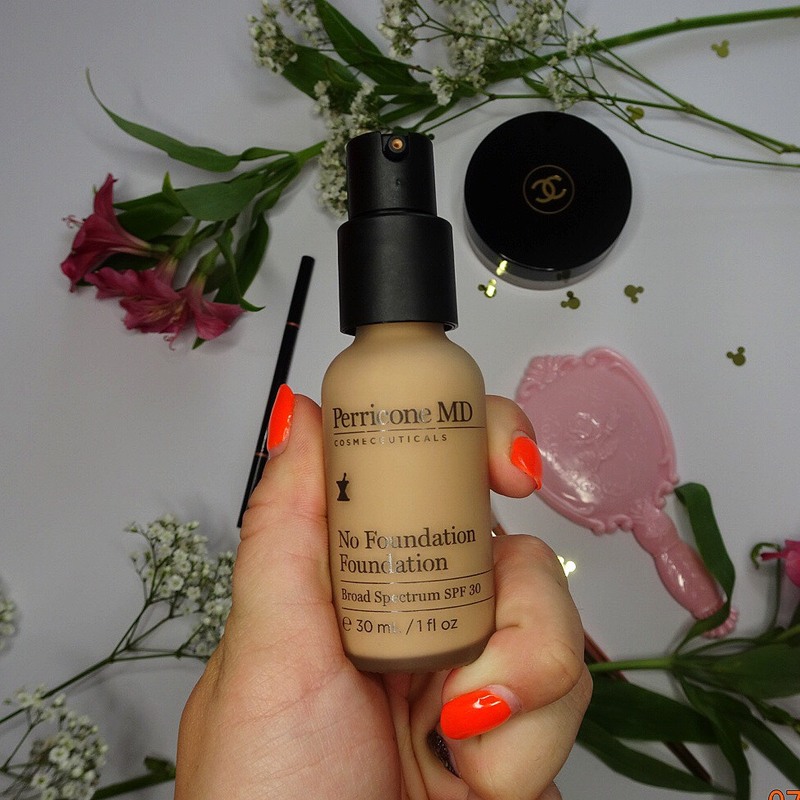 I have been dying to try this foundation for so long and it has definitely met up to my expectations. 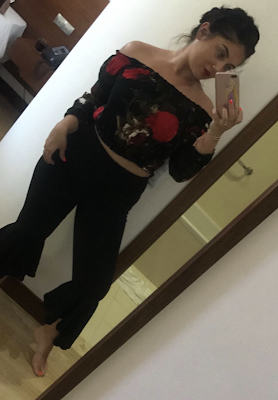 I definitely have changed my style of makeup and I am going for more of a natural look which is why I wanted to try this product and I loved using it on holiday and am still using it back home! I love this brand and love trying out their products and have definitely found some winners within there huge makeup range! First up my all time brow fav is Brow Wiz, I pick up the shade Dark Brown as my hair is very dark however anything darker it's a little too dark for me as I like a softer brow on myself. 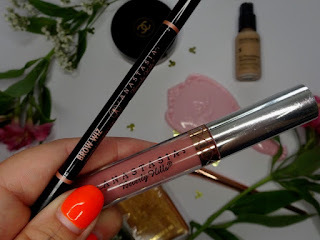 This product is very easy to use and feel like I have no hassle when it comes to filling in my brows and love that it has a small spooly on the other end of the product which is definitely an added bonus! 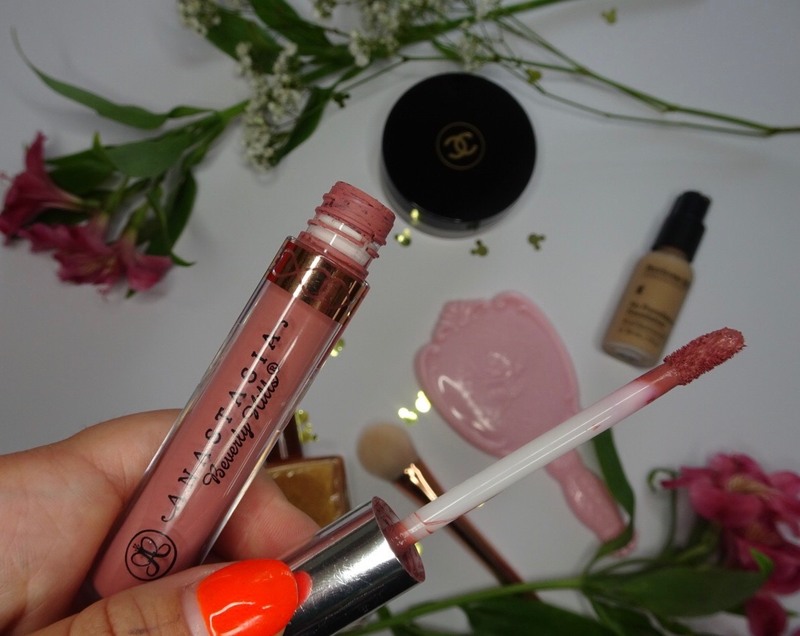 My second love of theirs is the Liquid Lipsticks whilst I only own a few of these as they are quite hard to get hold of in the UK, I love this shade Crush! Its so beautiful and just enough colour in it and I find it not too pink (if that makes any sense) basically it is the perfect shade of pink! The formula is also great and not too drying which is a huge hate of mine and find it uncomfortable if I wear a drying matte lipstick. I love this product too with a gloss on top depending on what type of look I am going for. As I'm sure some of you already know I have recently came back from an amazing trip in Albufeira, Portugal. I thought I would do a post dedicated to my time spent in Portugal and share some photos that didn't make it on my Instagram. So, I thought what I would do on this post is share with you some of the places that we visited. 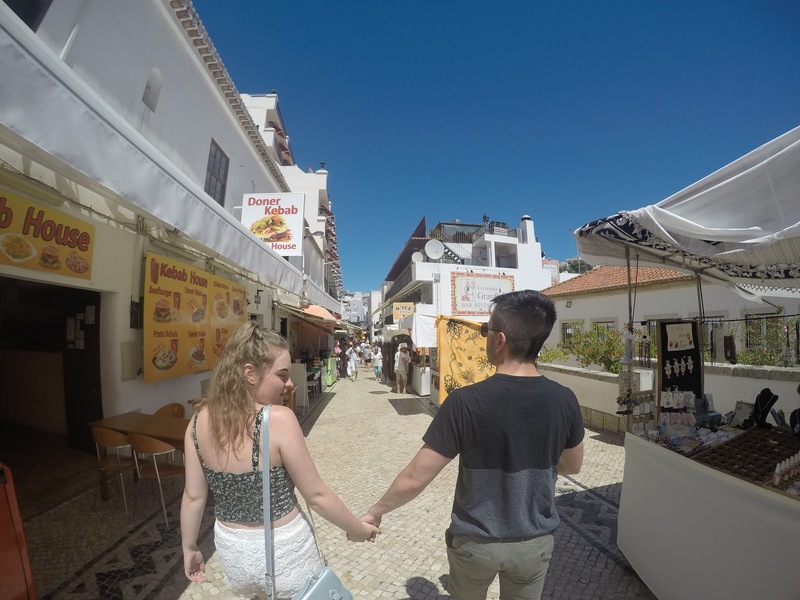 My favourite place that we visited whilst in Portugal was Albufeira Old Town. In the Old Town there was tonnes of amazing little stalls, shops and of course bars! Honestly though I always just love to browse in all the stalls and shops because you can come accross some of the cutest things! We spent a couple of nights in the Old Town as well which was so much fun as it had a great nightlife and so many bars to choose from. They also had a lot of street entertainers on a night time which where great and always seemed to attract a hell of a lot of people! My next favourite thing about our trip was of course the food, would you even want to read this blog if food wasn't included? There were so many Gelato and Ice Cream places that you can try out which of course have so many flavours to try, but we found an amazing Gelato stall right down near Praia Da Oura beach and it was right near our hotel too which was so nice to be 5 minutes from the beach. We also found a cute little Ice Lolly stand in the Old Town which had lots of different flavours to try like Iced Tea & Ginger which I had and was so refreshing! I'd never seen or tried anything like this before. We stayed in the Hotel Aqua Pedra Dos Bicos which was a very beautiful 4* adults only hotel. It was very central and was located in a safe area. Our hotel included breakfast during our stay and was amazing! It was honestly the highlight of my morning. We usually went to breakfast around 8am every day to make sure that we where up early and ready to go for the full day. Our breakfast options where a full continental breakfast with cereals, fruit, toast and even had healthy options. There was also a hot breakfast option which was great and I will admit I had some of it every day, but why not I was on holiday!! I think my favourite thing about Portugal was just the scenery. Everywhere we went there was amazing views and flowers, everything was just so colourful and beautiful. The beaches where beautiful, however the water was very cold if you are brave enough to go and venture in the sea I definitely would but Jamie and I just tended to stay safe with just dipping our feet in as it was so cold! There was so many activities that you could do at the beach, a handful of water-sports that you could experience including Parasailing, Canoeing, Kayaking and even a giant inflatable Assault Course which did look amazing and we very nearly did it but didn't end up going back to that specific beach. I have decided to create a series for my lifestyle section on my blog. This series is going to be about all my adventures that I encounter on, so that I can share with you some of my most favourite places that I absolutely love and chill me right out! So to kick this series off I am sharing one of my favourite places for a hike which is Roseberry Topping near Great Ayton. I absolutely love going here with my boyfriend Jamie as it gets us out in the fresh air and for me it can be quite a challenge to actually get up the hill, especially when it's warm. At the moment, we have been very lucky to have some summer sun so we have been going to Roseberry quite often as it is only about a 30 minute drive for us and means we can make the most of the gorgeous weather. We usually take quite a few pictures on our adventures so I am going to make these posts a little more exciting with some pictures that we take on our way up!